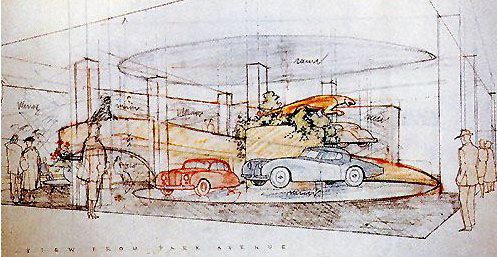 Journal: Was Frank Lloyd Wright The Architect For The Automotive Golden Age? 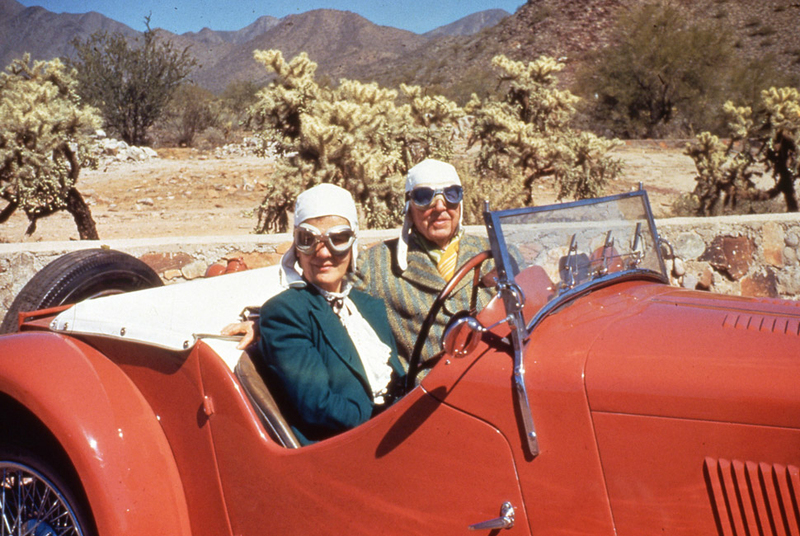 Was Frank Lloyd Wright The Architect For The Automotive Golden Age? 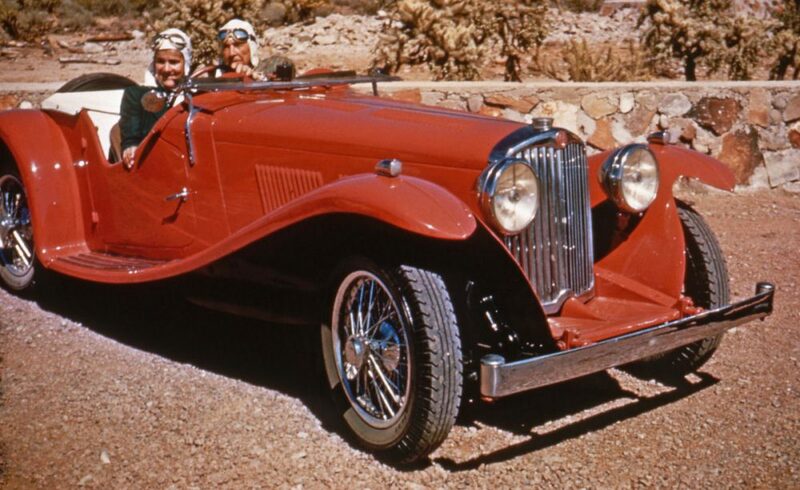 Frank Lloyd Wright isn’t a name one immediately associates with driving tastefully—Gianni Agnelli he is not—but like so many in his field, this famed American architect was infatuated with cars. His buildings, both those completed works like Fallingwater and those that never made it off the draft paper, were in many ways love letter to the mid-century automotive revolution. Not only that, but he was a road-tripping, car collecting maverick too. Let’s dig into this side of him. 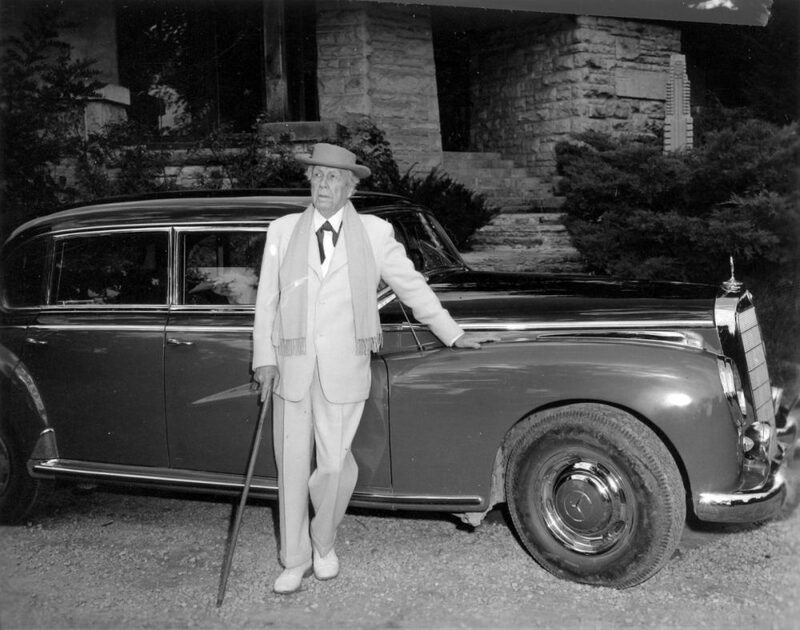 Frank Lloyd Wright was already well into his twenties when the automobile was invented, and he had quite an early one in the grand scheme of things. His first car purchase was a 1909 Stoddard-Dayton K5 nicknamed “The Yellow Devil.” Capable of up to 60 miles per hour, this machine was no slouch back in its day even if it’s an utter antique now. Fun fact about the K5: for the first running of the Indianapolis 500, it served as the pace car. Regarding Frank’s, as the story goes he would tear around his neighborhood in Illinois at speed, donning driving goggles and a linen suit. 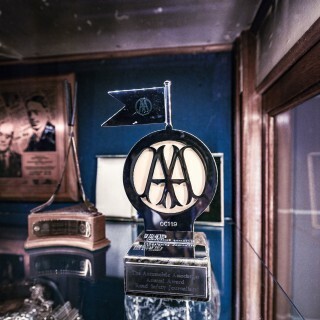 His enthusiasm for autos never really waned either, and it’s said that he owned roughly 85 cars throughout his life, and more than a few worthy of envy—for instance, a Mercedes 300SL, a number of Jaguars, and an AC Roadster that he’d frequently drive across the United States with his wife in the passenger seat. Clearly he didn’t mind putting miles on them, and he’d give the keys to apprentices and family members without much thought. After one of said associates crashed his Lincoln Continental in 1946 (anyone who’s had a Gullwing and a Continental clearly appreciates the vast landscape of the automobile), he had the car redesigned and coachbuilt to feature a half-roof, custom interior, deleted rear window, and a paint job in a custom shade called Cherokee Red. 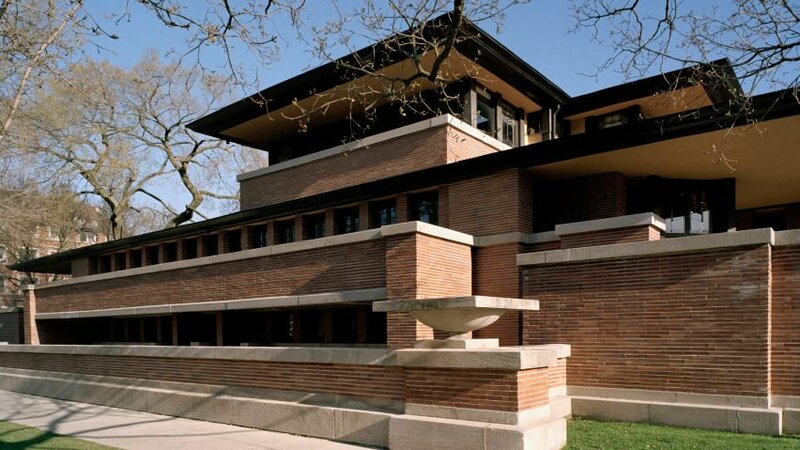 In an era when cars were typically parked away from the house or tucked in a shed alongside the horses even—rarely in an actual garage—Frank Lloyd Wright was designing commissioned projects that featured an entire ground floor dedicated to cars, going so far as to include mechanics’ pits in the three-car garage of the Robie House in Chicago (pictured below middle). As time went on, he’d pioneer the concept of the carport, a name he coined. 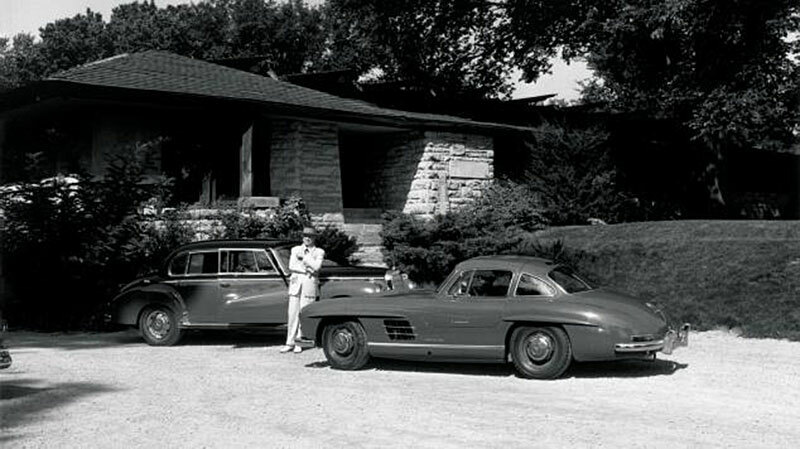 Max Hoffman, the luxury importer known for popularizing German sports car marques like Porsche in the States, tapped him to not only design his iconic showroom in New York, but Hoffman also commissioned a private residence in Long Island. City planning concepts for that home—none of which came to fruition—would heavily feature roadway design, as well as increasingly extravagant parking areas. 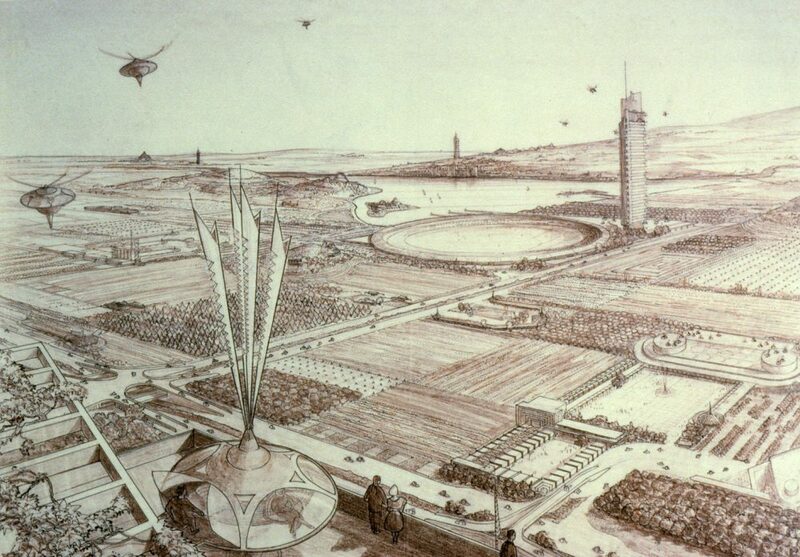 Quite the futurist and transportation enthusiast’s utopia, they would often include Jetson-esque helicopters and other avant garde machines in the illustrations. 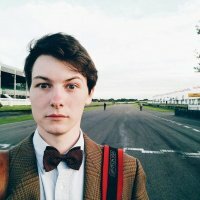 His automotive interests weren’t entirely focused on the city, however. With the concept for the Gordon Strong Automotive Objective in the mid 1920s, he envisioned a vast building atop Sugarloaf Mountain in Maryland as a destination for short road trips. 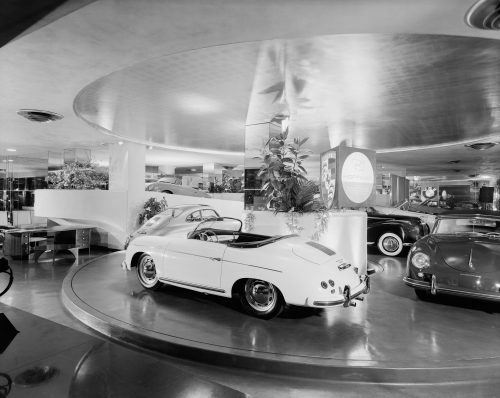 The building, which was never constructed (many of his designs were completed, though our examples here may not illustrate that), featured complex circular forms and a spiral ramp for cars to travel on. 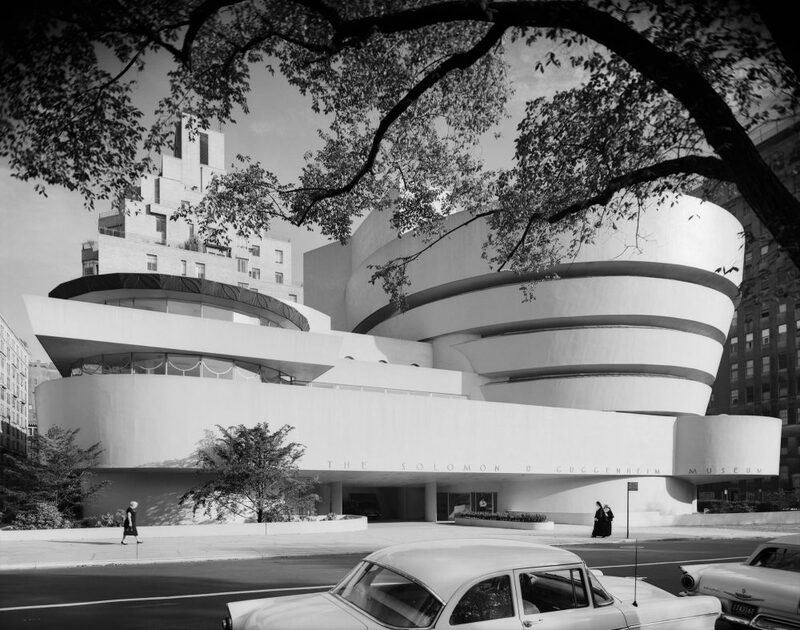 Those concepts would go on to serve as the inspiration for what is arguably his magnum opus: the Guggenheim Museum in New York City. Beauty, excitement, freedom; whatever particular element of the automobile appealed to him, the outcome was the same. 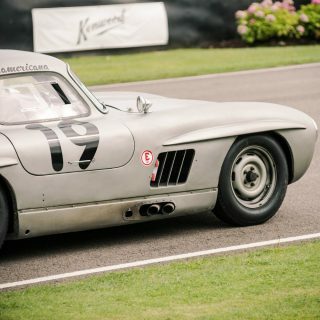 He worshipped the car in a way that would make any modern enthusiast proud. 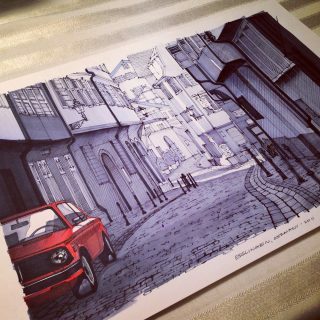 Besides his architecture career, it’s argued that the only thing which could rival his passion for cars was Japanese art. 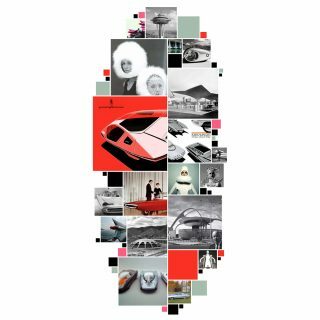 He was regarded as an authority on both, and even dabbled in conceptual automotive design, with an idea for a family transportation vehicle that never really took off. 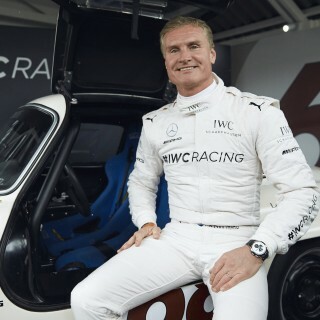 As aficionados of the automobile, we have to thank him, for not designing around the car, but in synthesis with the car. Structures built in harmony with nature, and transportation incorporated seamlessly in between—how many since have been as influential in this regard? FLW also designed a Gas Station. The original plans were located and it was built inside the Pierce Arrow muesem in Buffalo. 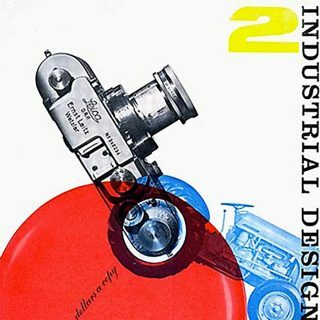 “Those concepts would go on to serve as the inspiration for what is arguably his magnum opus: the Guggenheim Museum in New York City”, well the world is larger than just the automotive perspective of things. One might take a look at the Vatican Museum for the use of a spiral as a concept. In 1505 AD that was. That Lincoln Continental redesign goes to show that an eye for architecture does not necessarily mean an eye for automotive design! 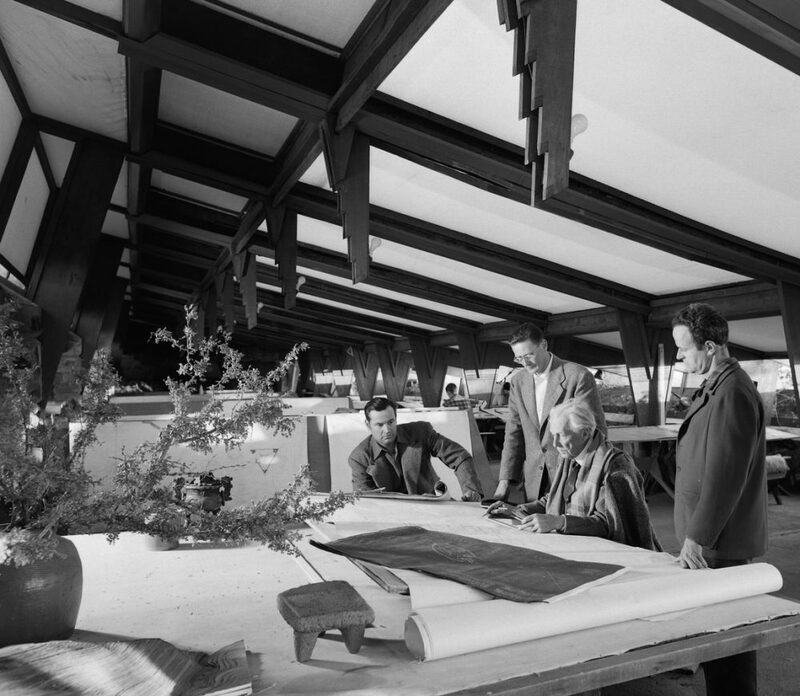 An aside: Some friends of mine were instrumental in saving one of FLW’s Usonian houses from destruction here in Oregon. It’s now on display at the Oregon Gardens in Silverton. P.S. 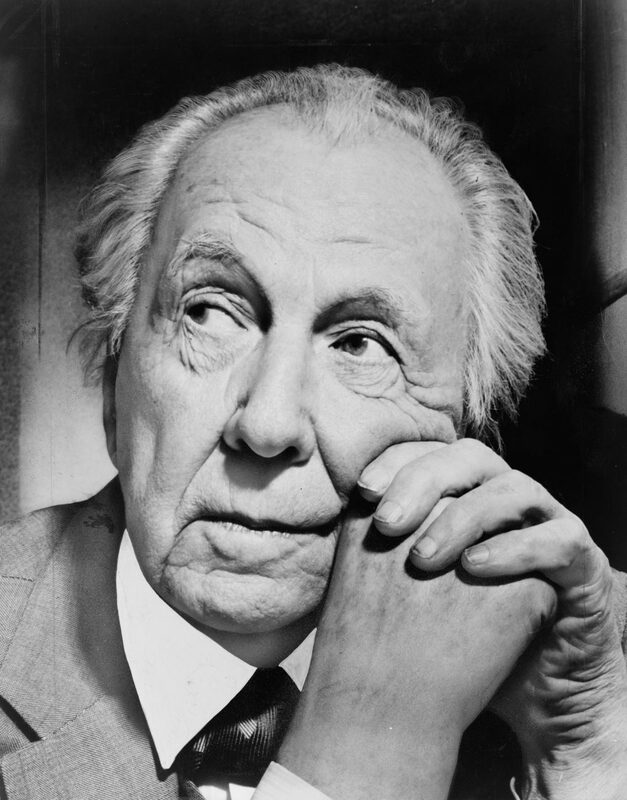 Interesting that one of FLW’s masterpieces is Falling Water (FLW?). 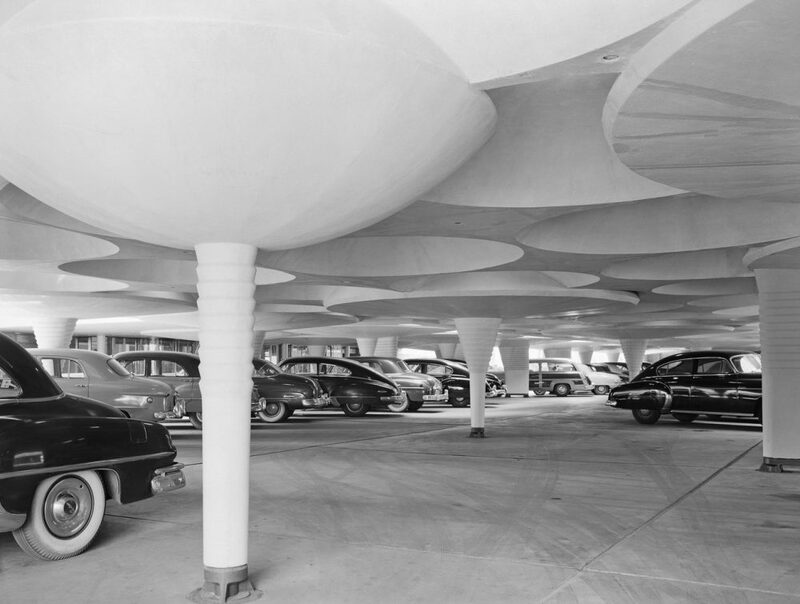 FLW invented the carport to allow home owners to display their cars while protecting them. 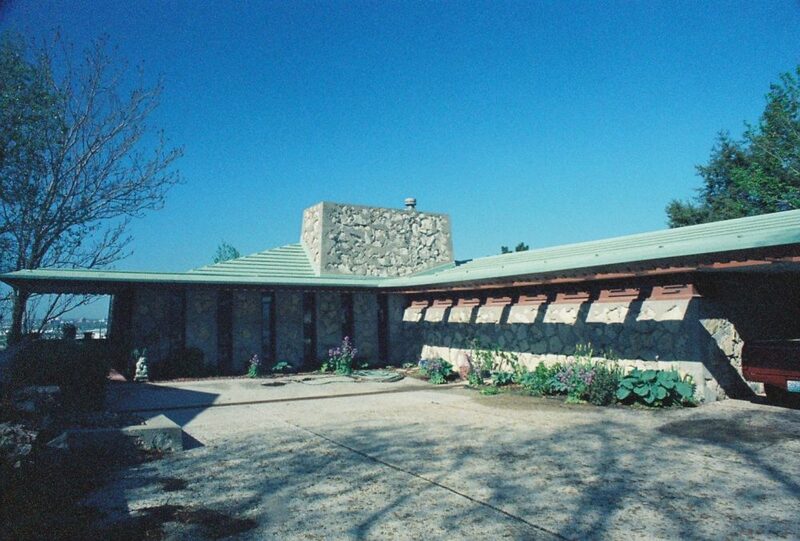 FLW was also friends with California architect Cliff May, who was also a car enthusiast and used the carport in many of his home designs.